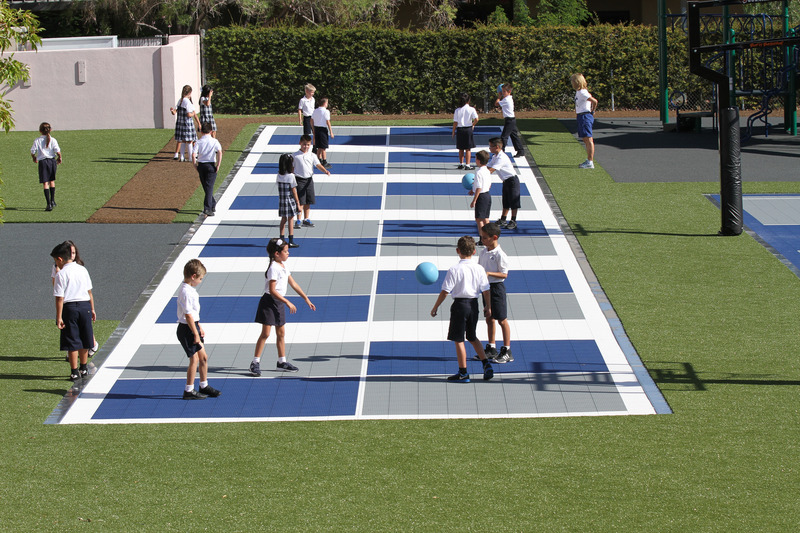 Located in Las Vegas, Nevada, The Meadows School is a college preparatory school that serves approximately 900 students from Pre-K through 12th grade. 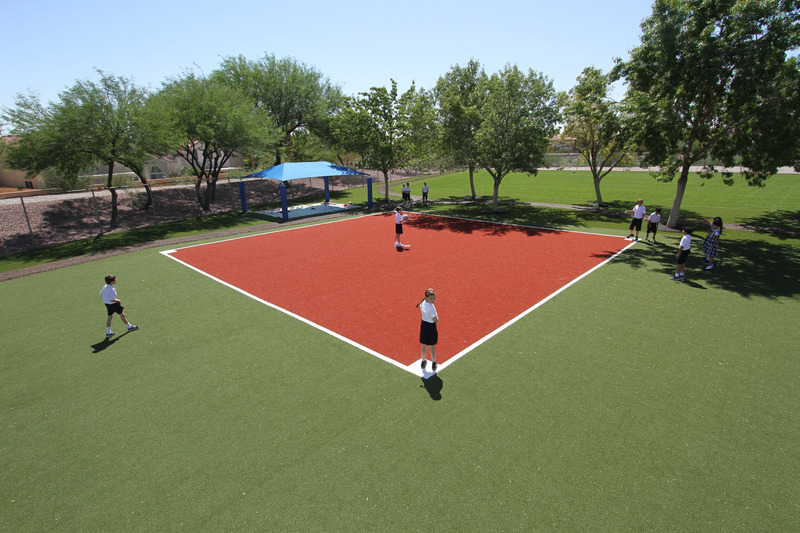 The school resides on a 40-acre campus that features 240,000 square feet of state-of-the-art facilities. 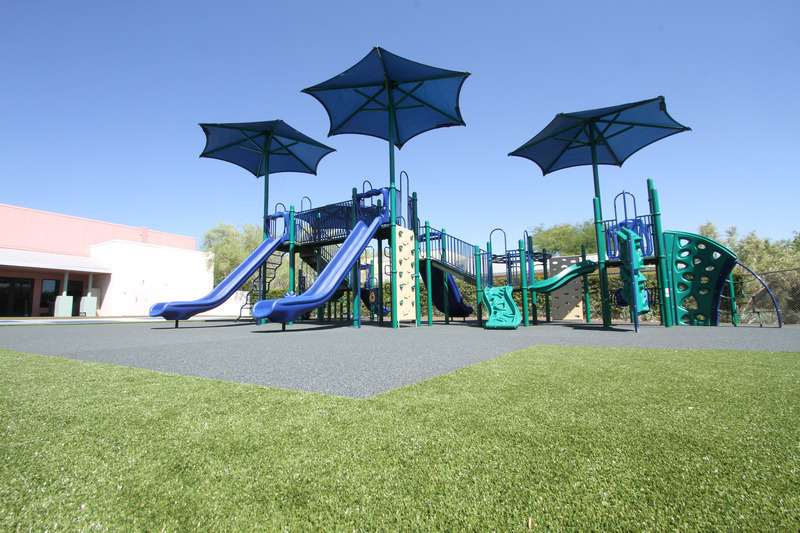 Lanmark Designs was engaged to re-develop the grade school’s play area to make it not only more fun and engaging, but also safer, cleaner and more organized. 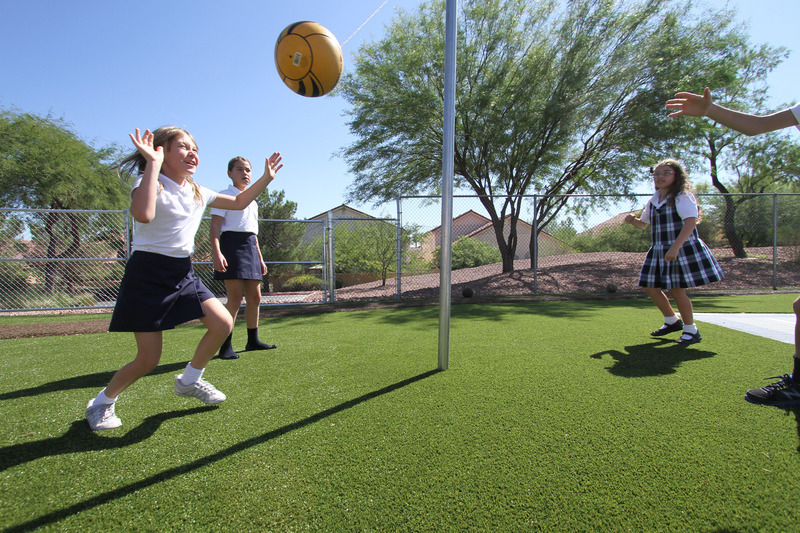 Growing and maintaining a natural grass field in the arid climate of southern Nevada is a major challenge so our designers were already looking to employ synthetic turf throughout the play area. 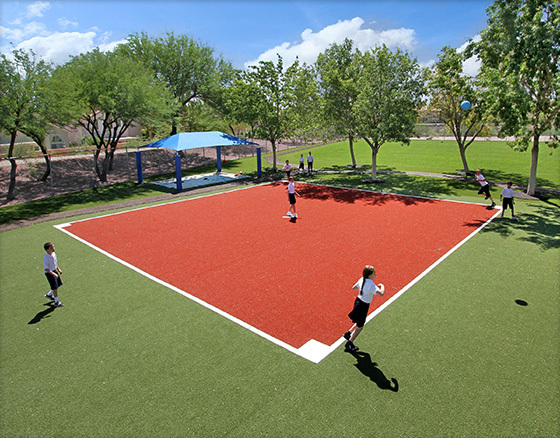 By incorporating multiple colors of turf, our team developed this innovative field that could be used for kickball and Wiffle ball games without the need to drag out bases and a pitching rubber. 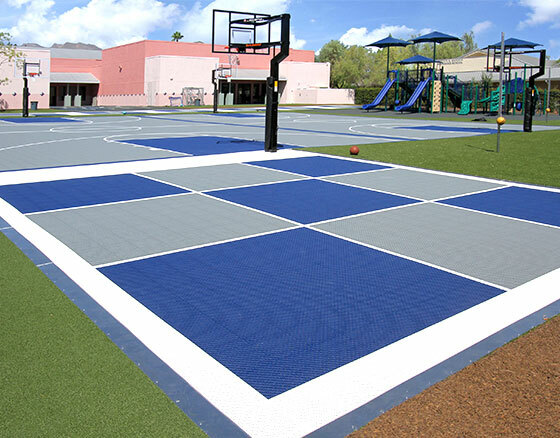 To ensure the safety of the students, we specified a poured-in-place (PIP) rubber safety surface under the playground equipment. 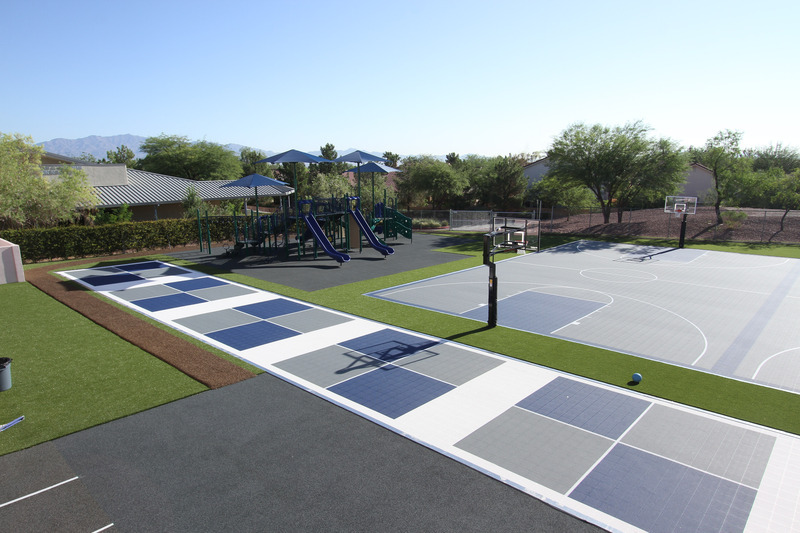 By incorporating the PIP surfacing flush with the rest of the area, the playground minimizes trip hazards and complies with ADA guidelines for accessibility. 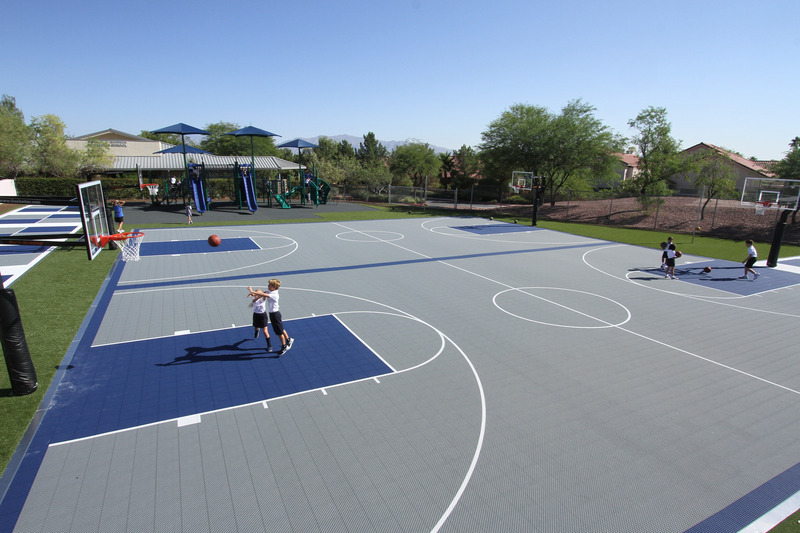 To transform the existing asphalt court into something safer and more enjoyable for the kids, we integrated two, full-court VersaCourt basketball courts. 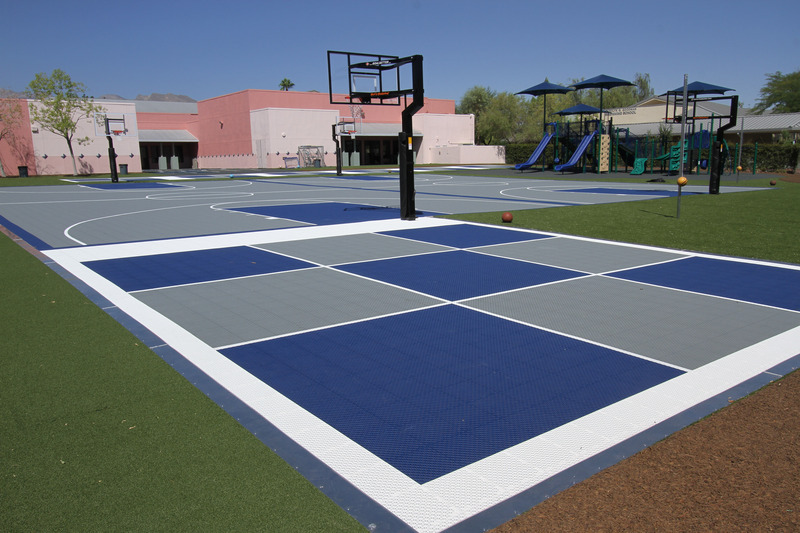 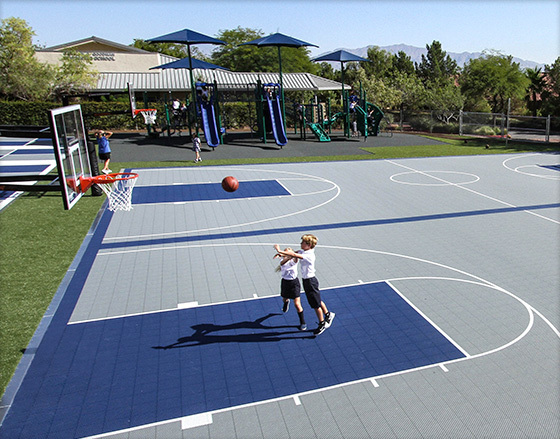 With its numerous color options and fast-draining, open-grid solution technology, VersaCourt's outdoor court tile provided an awesome option for enhancing both the look and appearance of the new playground. 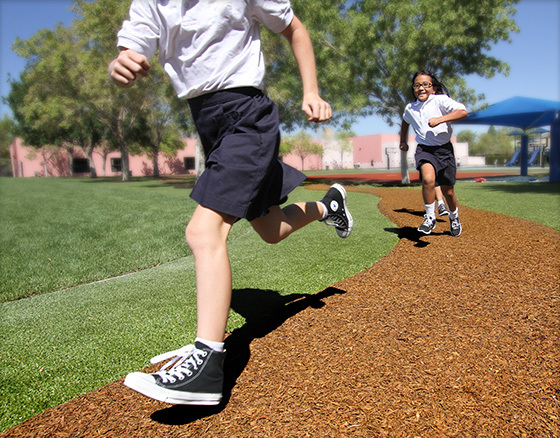 Bonded rubber paths from Play It Surfacing were incorporated into the design to not only help direct the flow of children throughout the play area, but to serve as a jogging path for gym class and for teachers to survey the playground. 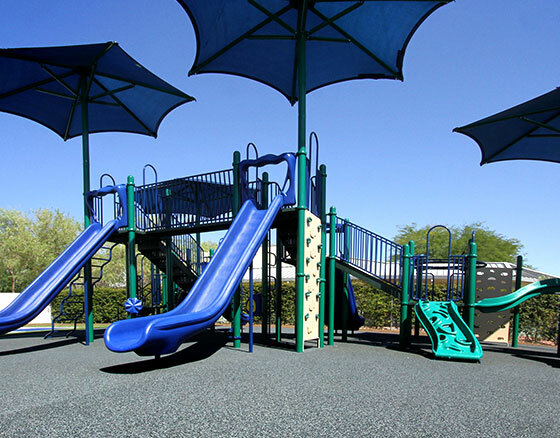 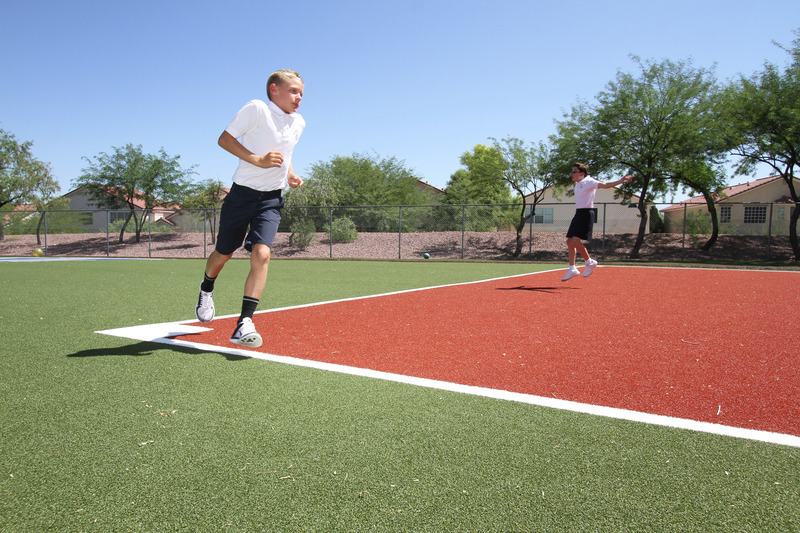 Like all of the playground's surfacing, the Play It Surfacing bonded rubber paths were specified for their ability to stay clean in any weather and limited maintenance requirements. 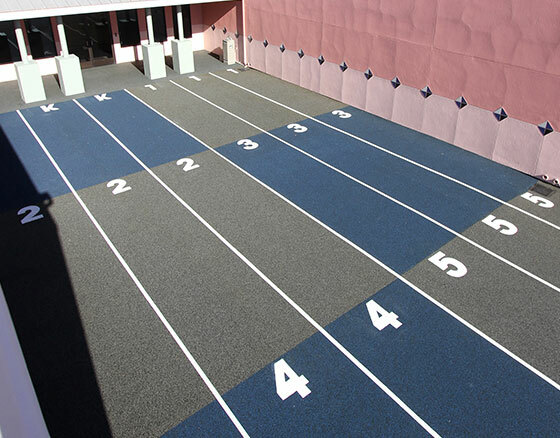 To help further organize the students return to class after their fun, this color-coded rubber surfacing was designed as a place for the kids to gather.